According to official statistics for the year 2015, more than two million migrants came to Germany, with almost half arriving from an EU member state. To understand the reality behind these numbers, society requires information about immigration and integration processes. The project "Aktuelle europäische Binnen- und Flüchtlingsmigration nach Deutschland. Zuzugsprozesse und frühe Integrationsverläufe" (Current European internal and refugee migration to Germany. Immigration processes and early integration developments) will provide exactly this information. By carrying out comparative surveys over the next three years, researchers will survey approximately 6,000 refugees and other immigrants in order to assess their characteristics, experiences and future plans. This large-scale data collection will also allow researchers to study how the integration patterns of very different groups such as highly qualified immigrants, refugees and migrants within the EU differ from one another. The study is being funded by the German Research Foundation (DFG) with EUR 1.7 million. 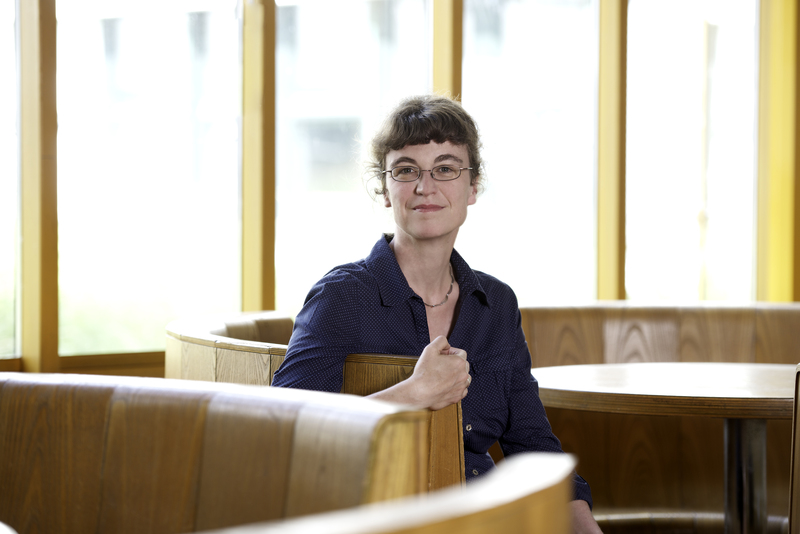 Spokesperson for the collaborative research project with the universities of Göttingen and Bamberg is the University of Konstanz sociologist Professor Claudia Diehl. Immigrants from six different countries will be surveyed, all of whom have spent a maximum of three years in Germany. "We are currently investing a lot into the integration of new immigrants. However, we still do not understand enough about which individual and contextual characteristics influence their integration behaviour and how the various immigrant groups differ from one another in this regard. The same applies to the question of whether or not integration is still the appropriate concept for all of these groups", says Claudia Diel, who carries out research on the topic of migration at the University of Konstanz. The target groups for the surveys are not only refugees, but also traditional migrant workers. The combination of Polish, Rumanian, Italian and Turkish migrants along with immigrants from Syria and Iraq as the largest refugee groups is making the increasing diversity in immigration to Germany an important topic to be considered. "Research on integration has for too long focused exclusively on immigrant guest workers and their descendants", says Claudia Diehl. In order to consider how the current immigration process in Germany has changed with the increase in diversity, the project will focus on questioning people who have come to Germany in the past three years. Since they are more likely to remember their motives, experiences and plans, this innovative approach will allow researchers to address unanswered questions in migration research. Claudia Diehl: "It will allow us to better differentiate between the many different factors that affect integration. How do individual characteristics such as pre-arrival educational qualifications and language skills influence the integration processes and which role do integration conditions play in the country of destination? Of particular interest here is how the groups differ from one another, in regard to religious background, for example. The large sample size will allow researchers to assess the intragroup diversity, which is apparently significant in the refugee group. A central question that will be addressed by the project is whether refugees even follow a typical integration process: "In principle, all migrants experience similar challenges", says the sociologist Claudia Diehl. All participants will be surveyed twice. In order to investigate the early integration processes, researchers will allow a year and a half to pass before carrying out the second round of surveys. Experience shows that a lot occurs during this time, especially in terms of social relationships and on the job market. At the same time, the migrants' perceptions of the host country can also change. To ensure a large sample size while also minimizing costs, the project will implement an innovative survey method: The randomly selected study participants will be surveyed in their native language and can choose between three types of surveys: an online questionnaire, a telephone interview or an interview in person. Participants will have a financial incentive to take part in the survey. To provide the project with an international comparative research component, Professor Diehl's colleagues in Canada are currently working on submitting a corresponding research proposal. Comparing immigrants of varying origins is something Claudia Diehl has had experience with as a principal investigator in an international collaboration project where research was carried out on immigrants from Germany, the Netherlands, Great Britain and Ireland. As a member of the Expert Council of German Foundations on Integration and Migration and an active contributor to the current research focus "Political Dimensions of Inequality" at the University of Konstanz, Claudia Diehl expects that, as in the previous study, the results of this research project will be published in scientific journals and be used in political policy consultations. Claudia Diehl: "To effectively prepare for the future, it is important to know who has come to Germany and what their plans for the future are."